Barcelona Photoblog: World’s Tallest Building in Dubai - Burj Khalifa! Dubai is located on the Eastern coast of Arabian Peninsula. It is an exotic city which welcomes millions of visitors every year. It is mainly renowned for the luxurious lifestyle, hospitality of people and where you can do world class shopping. If you are travelling to Dubai for the first time, then you should have all the details about the airport terminals. Emirates airlines provide direct flights and they are bit of less hectic than the break journey. Qatar airways can also be an option. They do stop at Doha once before continuing for Dubai. If you are looking forward to have a trip from Barcelona to Dubai, then you can take Swiss, Pegasus, and Emirates flight too. The infrastructure of the whole place is outstanding and it gives out a very dynamic energy to the tourists. Dubai is a hot and happening place; one can find all sorts of innovative architecture here. The landmark architecture of Dubai is Burj Khalifa, any tour is incomplete without witnessing that. One will never have to face any shortage of hotels in Dubai, especially the luxury resorts. The most prosperous areas are the places near the Dubai mall, where the Burj Khalifa is situated. On the either end one can find the Dubai Marina with Burj Al Arab close by the place. There is also the “strip” located on the exact opposite with the charm of Old Dubai. 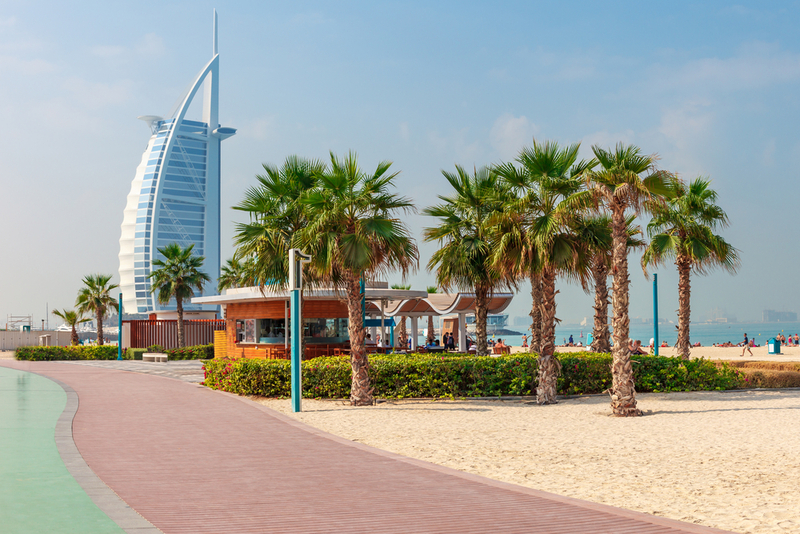 Jumeirah beach is filled with exotic hotels, resorts and restaurants. It is a great delight for the tourists. Why People opt to go to Burj Khalifa? Burj Khalifa was launched in the year 2010, it is a skyscraper and one of the most brilliant architecture in the world. It is around 828 metres and has 160 stories and holds the record of being the tallest building in the world. It also has the highest outdoor observation deck in the world, and the elevator travels the longest distance. If you stand beneath the tower, then it will appear like a spiral upwards into the sky like petals of a flower. The interiors are inspired by the local culture in fusion with contemporary design. The architecture is basically an abstract figure of a hymenocallis flower; it features a triple lobbed footprint. It has three main elements that are arranged around the central core. The Y-shaped structure with setbacks provides the support and a stable configuration. At the top Burj Khalifa one can have an experience of a lifetime. Architecture is mostly likely the Islamic style. 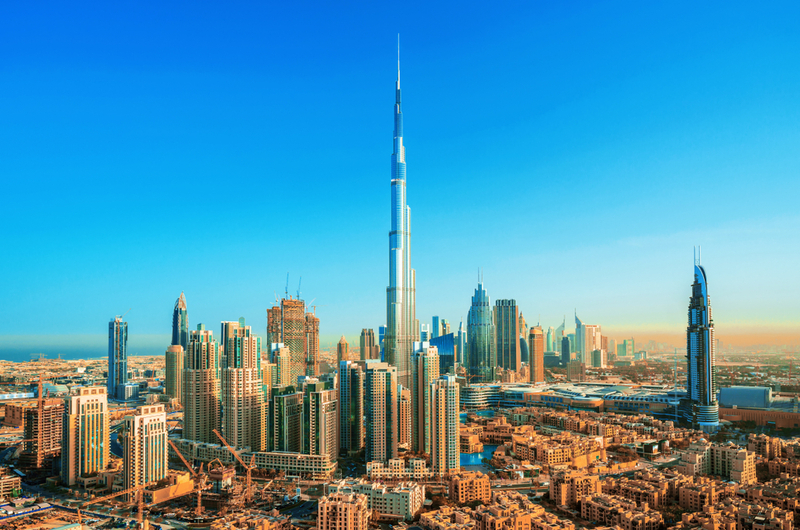 Burj Khalifa tickets are one of the most sought after attraction passes in Dubai. It is noted for hosting the world’s highest observation decks. There cannot be a better view than this; it will leave every visitor awestruck. One can get the tickets and have dinner in the skies with their beloved. There are a lot of places that one can visit in Burj Khalifa; the Burj Khalifa park is a famous place to visit. Lounges, spas and restaurants are found in the park, designer goods and boutiques are considered as a great purchase. The park allows the tourists to enjoy every attraction around the place.